Sometimes we get so bogged down in the rites of prayer (wudhoo, dhikr, etc) that we forget WHY we are praying. So how do we teach this amazing philosophy of prayer that we have? 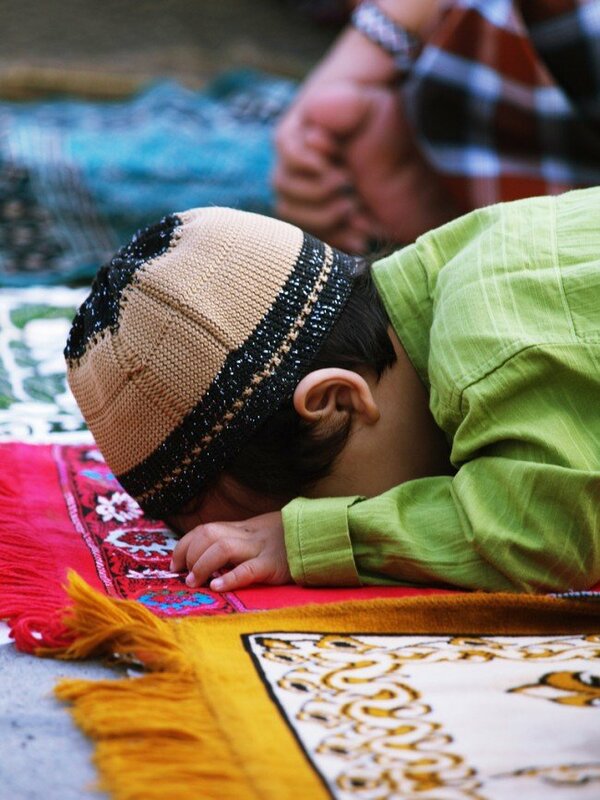 When children are young – and especially if they are reluctant, rather than ‘making’ them pray, why not make them do a sajdah and encourage them to TALK to Allah. Is that not what Salaat is all about anyway? A conversation with Him? Here again, modelling is essential. Do we only pray out 5 wajib salaat? Why not fall into sajdah when something good happens, and encourage our children to do the same? When we need something, why not recite a two-rakaat salat for hajaat and let the children know you are doing this so they realise it has so many purposes?